I have lived in England, I have been back to visit it many, many times and yet I had never been to Stonehenge. This was the first time for me and also for my British cousin who has lived in London for more than 40 years. My sweet Stephan rented a car and we drove to Salisbury and then to Amesbury. 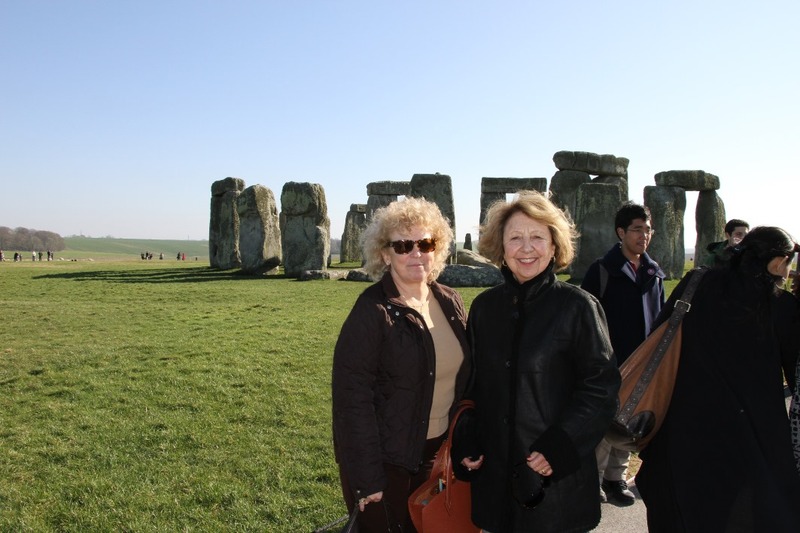 Stonehenge is one of the more commercialized sites in England. In the old days people could go all the way to the rocks and touch them but now they have created a perimeter around it and you can only walk around the circumference. Of course first, you have to pass the control, be led to where to park the car, then go to the visitor center and then take a bus for a short drive to the actual monument. Not to forget the fact that you also have to buy your tickets in advance and online.